NEW: Deebot M81 Pro vacu . . . The new Deebot M81 Pro is the successor to the M81. The Pro now has a water tank with a pump alomgside a free Ecovacs smartphone app for IOS and Android. The M81 Pro can wipe the floor as well as the vacuum. It can do this because it has the option of having a water tank quickly installed, the tank gradually releases water onto the pad so that the pad remains slightly damp. This design puts this robot at the forefront of its class. The Deebot M81 Pro has a free Ecovacs app for IOS and Android. You can install the app on your smartphone to change settings or to manually control the M81 Pro. With the side brushes, the M81 Pro can perfectly get into the corners of a room and also clean around the edges. The great design of the main brush provides a fantstic floor cleaning system and ensures a good clean. With the advanced stair sensor, the Deebot M81 is able to detect abysses such as stairs, this sensor prevents the robot from falling down the stairs. The robot would drive upto the edge of the step before stopping and changing direction. 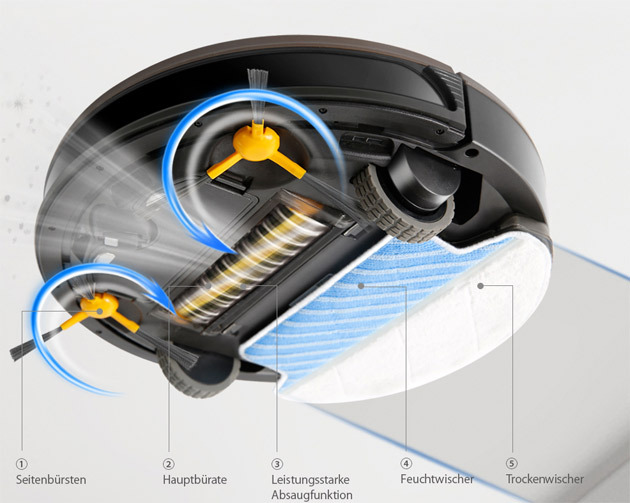 The Deebot M81 Pro has a high-quality fine dust filter that helps clean the air from pollen and other allergens. The filter is simple to change and easy to purchase. Thanks to its modern sensors, the M81Pro is able to detects obstacles so that the robot can pass safely around the furniture without causing any damage. 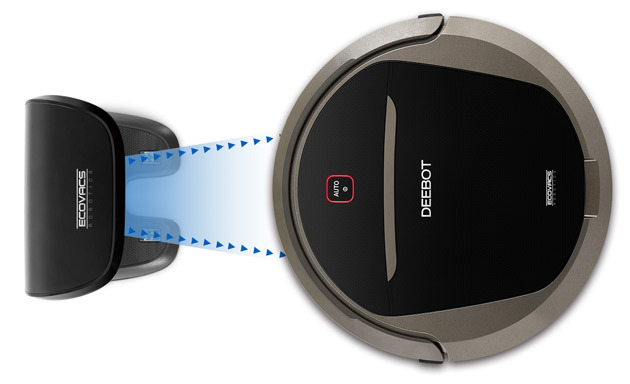 Thanks to the programming function that is available, the Deebot M81 Pro can independently begin vacuuming at a pre-set time. Once the cleaning cycle is complete or the battery is low, then it will automatically return to the charging station and begin charging itself. You can test the Deebot DM81 Pro from Ecovacs for upto 14 days in your home. If you decide that the robot was not the right choice, simply send it back free of charge. We give 2 years warranty and free support on all our robots.